work to "do something" with their hair. I never took full advantage of the gifts God had placed in me. 2007 from Vanguard-Paul Mitchell Partner School in Slidell, LA. I opened my salon on October 12, 2007. 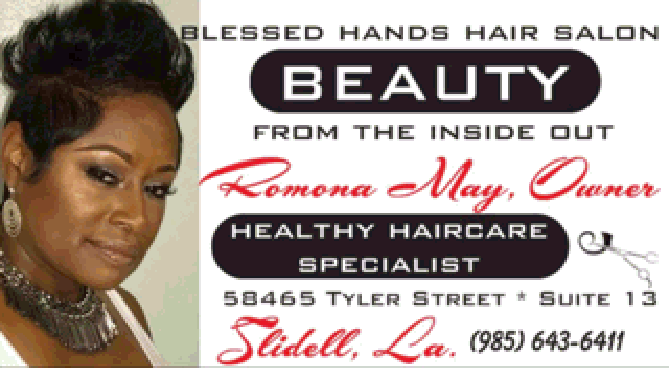 Romona, Owner/Professional Stylist. I am a wife and a mother of 2.
experience with 100% superior service. Call us today for your next experience. Can't wait to hear from you!